With a FREE Grinder! You save £9.95, a little Christmas gift from us! These healthy salts are an absolute foundation for good health. They're packed with essential minerals and trace elements ad taste great too! 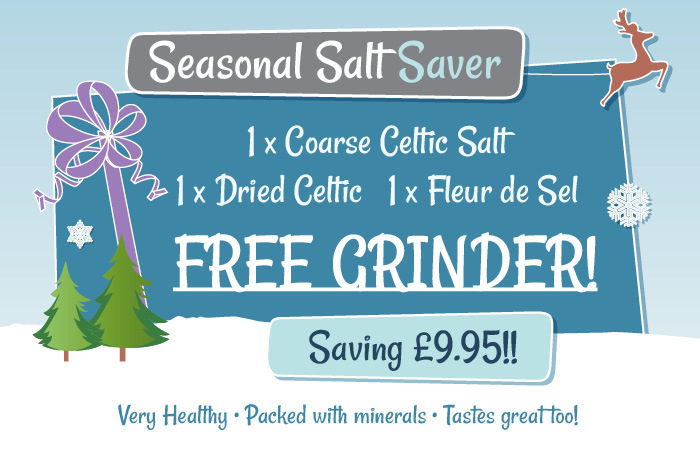 So whether it's for your own good health, or for presents to introduce these nutritional salts to friends and family, we hope you enjoy this seasonal salt saving!